I have a quite large music library and I care about keeping it nice and clean. To do so, I use editorial standards — a set of few simple rules that helps to make all titles accurate and informative. Today, I’d like to share some of these standards. Look how the right column is easier to read. The bottom row on the right in an exception because Xerox & Illumination is a project name as a whole. Note the last row: DL Edit is my edit. It means that I cut the breakdown off, adjusted the structure to make it more DJ-friendly, or somehow edited the track to make better fit the mix. I’m using iTunes for about six years now. It keeps my DJ music collection nice and organized and works as a central hub for all the music and podcasts. Look at the middle column. There are “Ace Ventura & Darma”, “Ace Ventura & Freedom Fighters”, “Ace Ventura & Lifeforms” etc, all as a separate entity in the library. This mean if I would want to listen to the entire collection of tracks I have from Ace Ventura, I can’t just do this from the “Artists” view because half of his tracks are collaborations with other artists. And it pisses me off. Suggestion: make artist names as tags. Excuse my designer’s skills, I know it could be better. This is just a demonstration of the idea. This way we could add multiple artists and finally browse songs properly in the “Artists” view. I hope Apple will implement this someday, luckily significant changes in the UI are not required. Hi Daniel, I’m an up and coming DJ, and it seems my music library is getting out of control with all those countless songs and folders. Beatport Pro app looks attractive, but I found it more confusing rather than helpful. What is the best way to organize music library? According to the entropy law, everything in the Universe goes from order to disorder. From structure to chaos. And we need to put some effort to keep things organized. I’m kind of obsessed with music and order, and especially when both things come together. As a DJ myself too, I have plenty of incoming music: from stores, promo pools, demos, and so on. Also, I like to listen to podcasts and various ‘non-format’ music (the one I didn’t play, but just enjoy listening), so in total, it’s a huge amount of new music every week. Eric, I don’t know the best way to organize music library, but I’ll share the way how I do it, and it’s works just perfectly. Basically, I’m using iTunes. This is the essential. It’s flexible, free, cross-platform app, made to be synced with mobile devices (needless to say how important to re-listen your playlists on the go) , and easily integrated with pro-DJ software, like Traktor or Rekordbox. 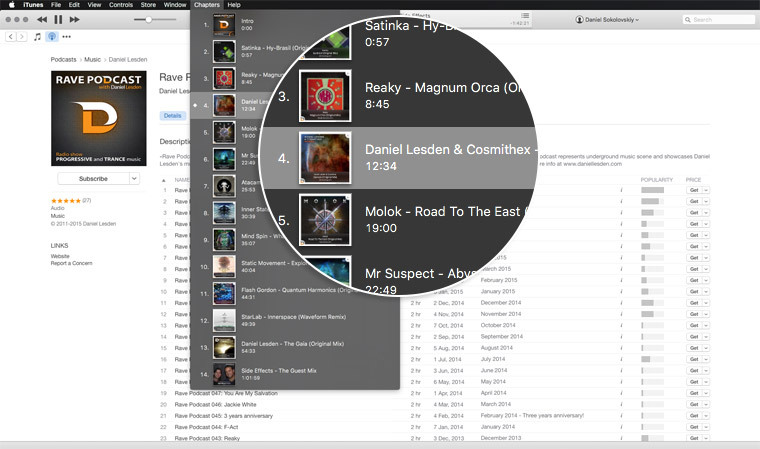 First things off, iTunes organizes entire music library structure for you. No more need to create folders and move files across your hard drive. Let the smart machine do all dirty job. 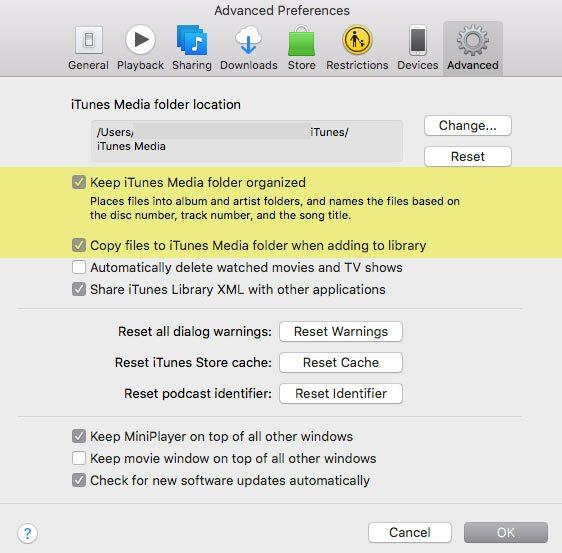 To make sure it works this way, go to Preferences → Advanced, and turn on the “Keep iTunes Media folder organized” option. 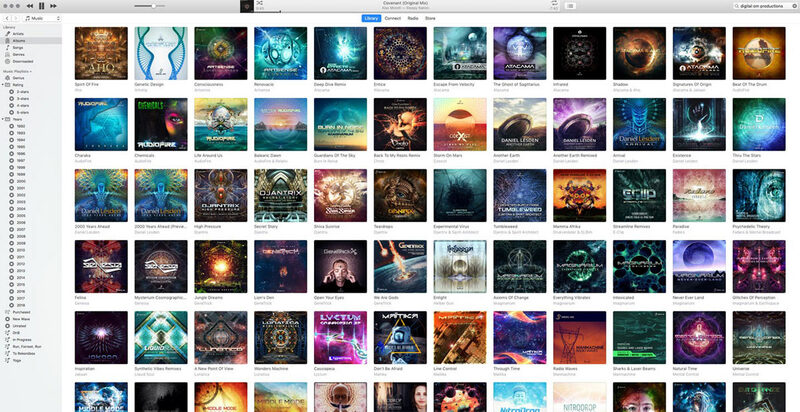 Probably, the only thing that missing on iTunes is BPM matching. What is a DJ’s collection without BPM information, right? To solve this, I’m using Mixed In Key software. This app made for harmonic mixing, but it also matches BPM of the tracks. And what’s most important, again, you don’t need to do anything with files on your hard drive, like move or rename it. 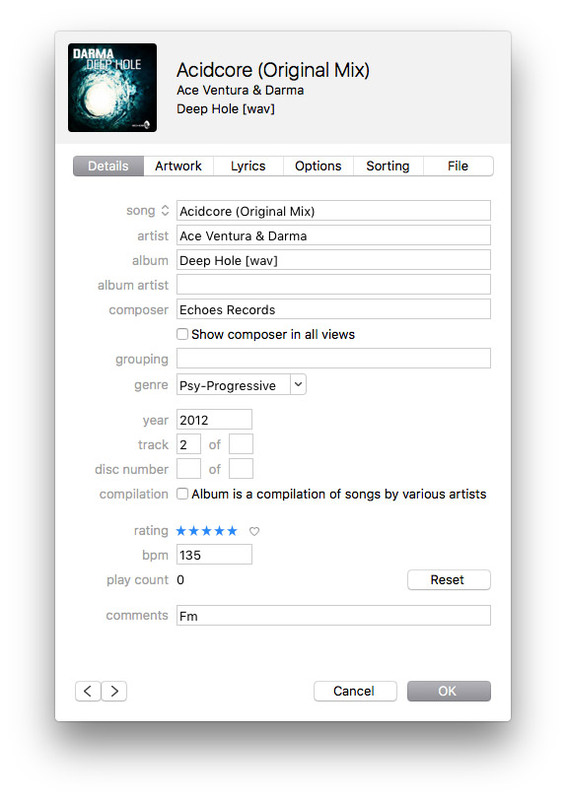 Just drag-n-drop files right from iTunes to Mixed in Key, and that’s it — you’ve got BPM information for your songs back on iTunes, automatically. Now let’s get back to iTunes. Having numerous new tracks on a regular basis, it’s not an easy task to remember all of this. Which track makes you thrill, and which one is decent, but you won’t play it on a peak time? What was its title? Here comes the rating. I tend to agree that iTunes isn’t perfect, there are plenty of room for improvements. But I’m using iTunes for nearly 5 years, and it solves the task excellent. Dear readers, if you know viable alternatives, feel free to share your experience in the comments below. I’m starting my radio show next month I am thinking to make a podcast for it as well on iTunes. After many tutorials and articles, I failed to know how to connect my podcast to iTunes. Can you help me and guide me on how to do so? Apple has written a guide called “Making a Podcast”. Although it very detailed and specific, I think it doesn’t give enough understanding of how things work in a simple way. So I’ll try to explain things easier, and share my experience how to avoid stumbling blocks. 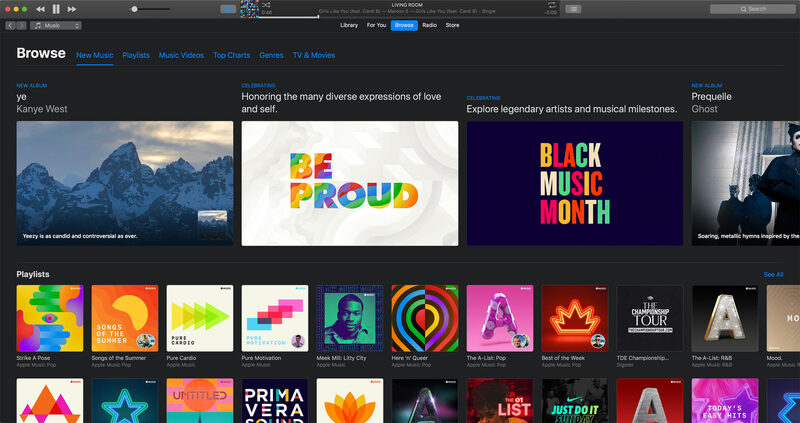 First things off, iTunes is nothing but a distributor, the platform to deliver your content to end-users. It means you have to produce and host content by yourself. Assuming you already have a content to deliver, getting web hosting is the first step. You need to have some web space, so you could upload your files and get direct links to it, for instance, www.yourdomain.com/episode001.mp3. When I started a podcast, basically I thought that file-sharing service like Dropbox can handle it. I thought, it’s easier to upload files this way, and it generates direct file links, thus I don’t need web hosting at all, right? But soon later I figured out that such services have very small bandwidth daily limits, even with paid plans. Here comes the first advice: don’t rely on file-sharing services, get proper web hosting instead. Requirements for web hosting are quite simple: it has to have enough disk space for your files (I would say, 5 GB is enough if you just getting started), and most important, it has to have a large bandwidth, otherwise you will be billed for extra traffic usage. Don’t fall into a trap of “unlimited bandwidth” that some web hosting companies offer on cheapest plans — most likely, it’s nothing but a marketing trick. So make sure to dig deeper intro hosting plan specifications. Once you get a hosting, it’s time to upload your media files. 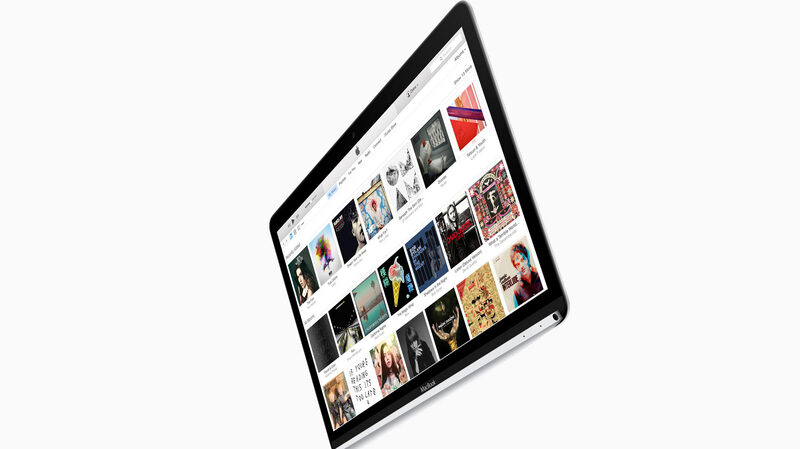 Apple supports the following file formats: M4A, MP3, MOV, MP4, M4V, PDF, and EPUB file formats. MP3 seems to be the most popular audio format, although, I very recommend to use M4A instead. It has much better compression, while audio quality is equal or even greater. For instance, 192 kbps M4A sounds nearly as good as MP3 256~320 kbps, but the file size is about 40% less. Less file size means you need less disk space on your hosting, less bandwidth usage, and listeners download it faster. Also, M4A has another cool feature. As a container, it can include additional information, such as chapters. 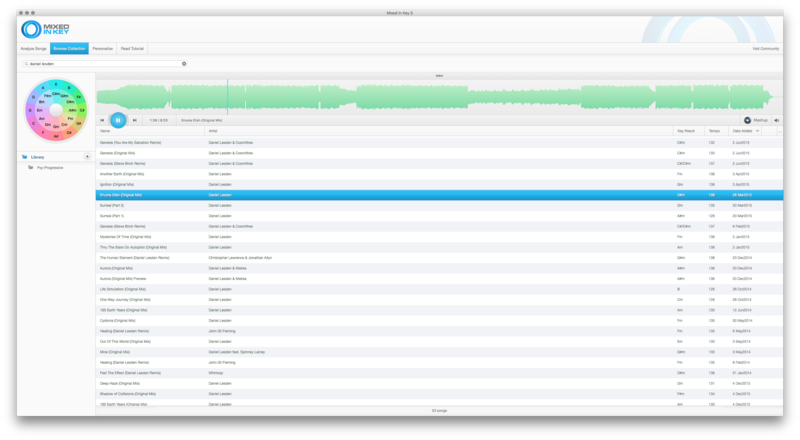 You can split each episode into chapters, so listeners can navigate by tracks throughout the episode. I found this feature very handy, especially when listening to a podcast on-the-go. Okay, you have a hosting and audio files. Next step — create an RSS feed. Basically, this feed is a simple text file with XML extension, where XML is a markup language. It’s great if you familiar with HTML as they are similar at some point, but no worry if you are not. You can find description of all tags in the Apple’s “Making a Podcast” guide — this is when it’s actually useful. And here is example of the specific episode. As you can see below, all information about the episode goes between the item tag. Feel free to use my XML file as a reference for your feed. Also, I recommend to check your feed by typo and errors every time you update the file. 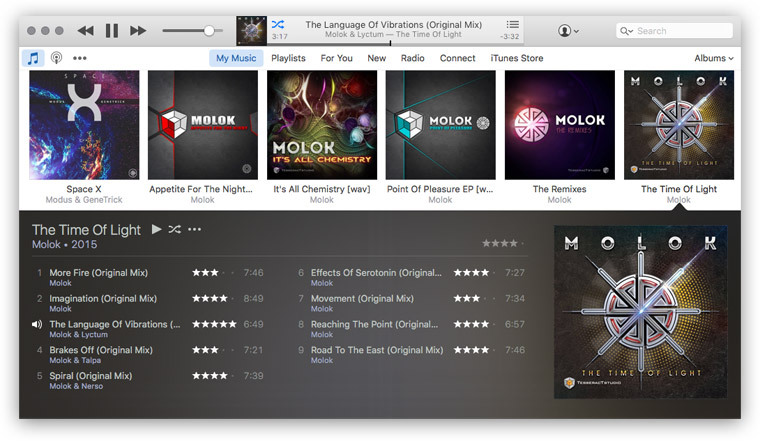 Once you filled up the XML file, it’s time to submit your feed to iTunes. This a one-time procedure. Just go to submit link (it should open your iTunes application) and follow the on-screen instructions. The validation by Apple may take some time, I would say a week. 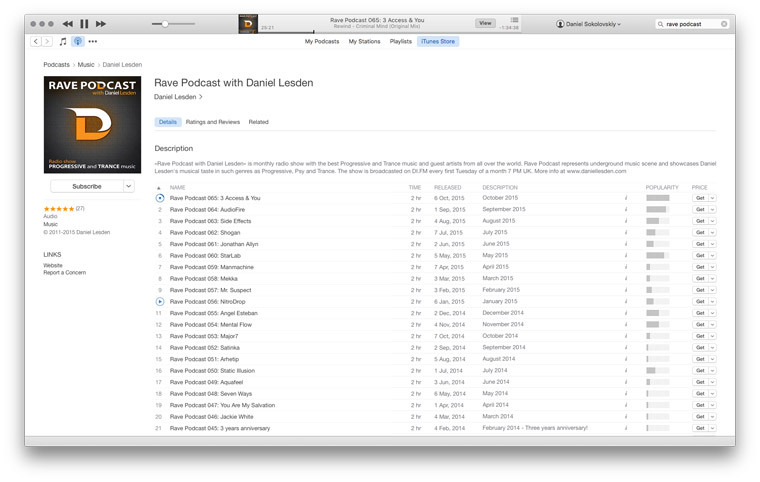 After that, your podcast will be available on iTunes and accessable via search. And the last advice: if you do it, then do it. Don’t stop. I know plenty of good shows that no longer exists. Seems not many people realize that having podcast on a schedule is hard work, but it is so. Podcast is like workouts in a gym: it requires time, efforts, and discipline, but eventually it pays off. 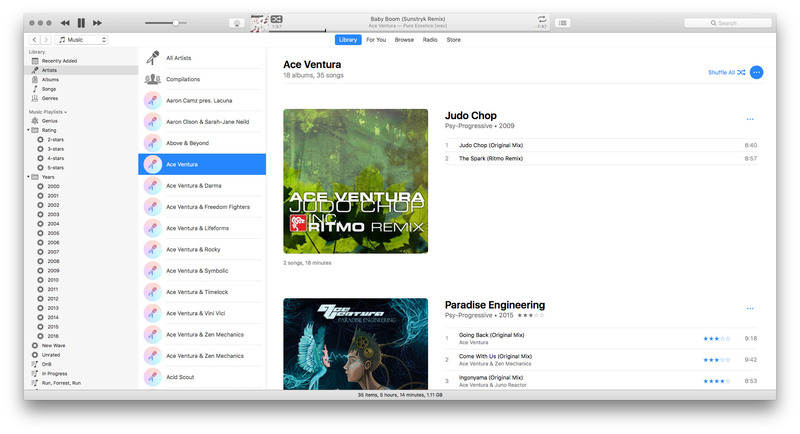 I noticed that iTunes search become working painfully slow after one of the recent OS X updates. That spinning icon and freezes for a few seconds was annoying to death. I’m a DJ basically you know, so having a thousand tracks in the library makes search the key function. Luckily, I found a very easy way to fix it. In the search field box, you can find a small arrow opening a dropdown menu. In fact, that “All” option will display absolutely the same all results as “Entire library”, but as fast as previous iTunes version.